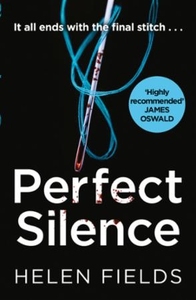 'Relentless pace, devilish cleverness and a laser-sharp focus on plot.' Chris Brookmyre When silence falls, who will hear their cries? The body of a young girl is found dumped on the roadside on the outskirts of Edinburgh. When pathologists examine the remains, they make a gruesome discovery: the silhouette of a doll carved in the victim's skin. DCI Ava Turner and DI Luc Callanach are struggling to find leads in the case, until a doll made of skin is found nestled beside an abandoned baby. After another young woman is found butchered, Luc and Ava realise the babydoll killer is playing a horrifying game. And it's only a matter of time before he strikes again. Can they stop another victim from being silenced forever - or is it already too late?